Posted on May 28, 2016 by Dream On, As IF! 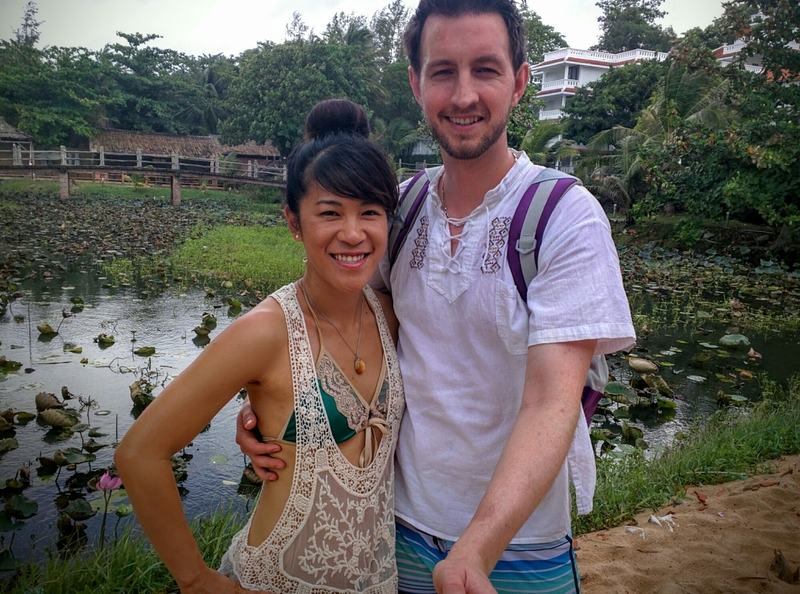 We enjoyed another lovely breakfast at our hotel, and filled up on Vietnamese coffee before hopping on our bikes to check out a beach nearby. We accessed the beach through a dirt path by Long Beach Resort, but found the beach empty and littered with trash, though we peeked at the grounds of Long Beach Resort, which looked lovely. We did see a sign for Czech-style beers during happy hour so we made note to return later. We came back to our resort, went for a dip in the ocean then the pool, and had some more Vietnamese coffee. We played some ping pong and had a piña colada. It started seriously pouring rain so we stayed indoors for a bit, made hot jasmine tea, and read. I finished Lady Chatterley’s Lover and started Seduction of the Minotaur. The rain seemed never-ending so we played some pool. 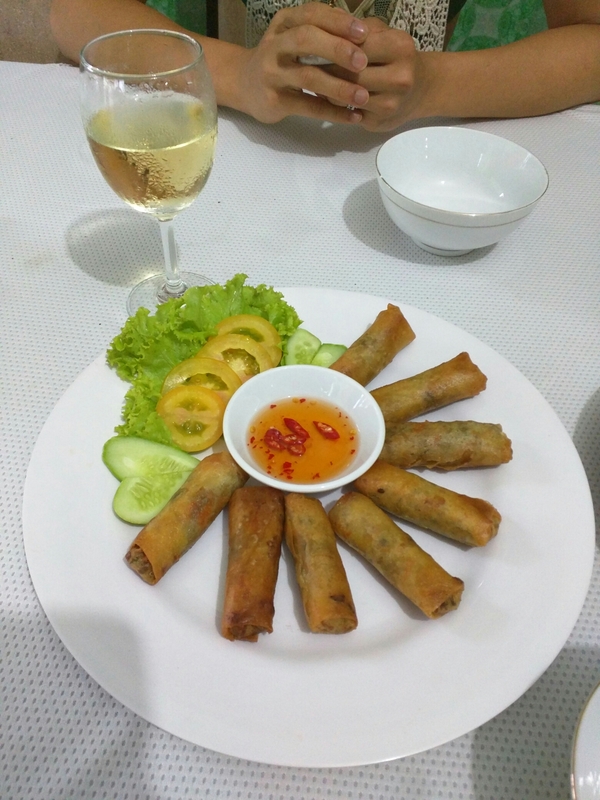 When the rain finally appeared slightly less severe, we ate some egg rolls and lemongrass chicken at a restaurant nearby (Yen-Ha). 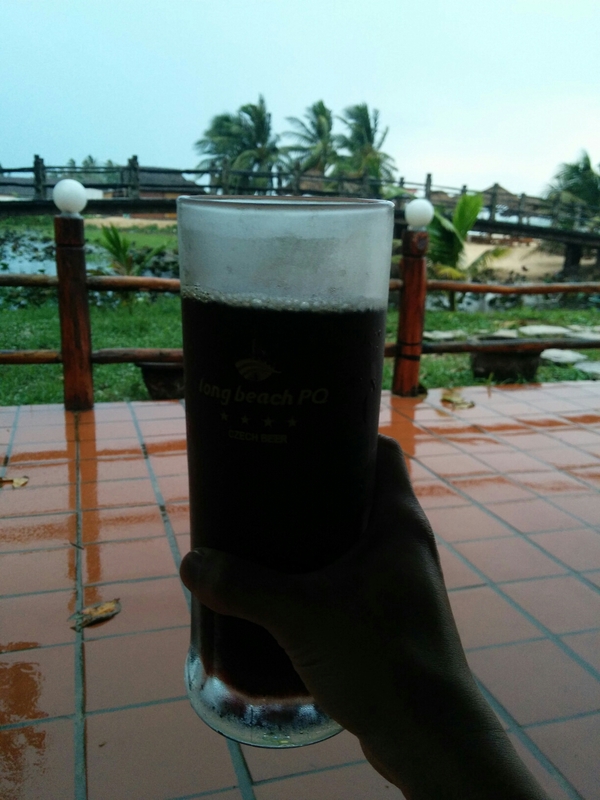 We cabbed over to Long Beach and had a couple of their Czech-style beers at the beach bar. It was the first non-lager beer we’d had all week and quite a refreshing change. 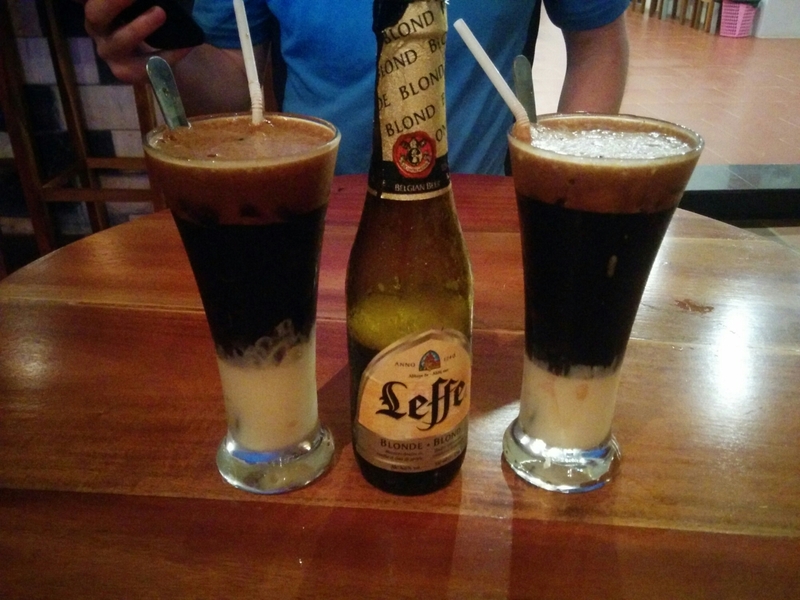 After drinking a couple of liters of this stuff, we decided to walk back instead of cab, and stopped at Canary Hostel to enjoy some Leffe Blond and more Vietnamese coffee.